A superb leather bomber jacket with flying jacket styling. 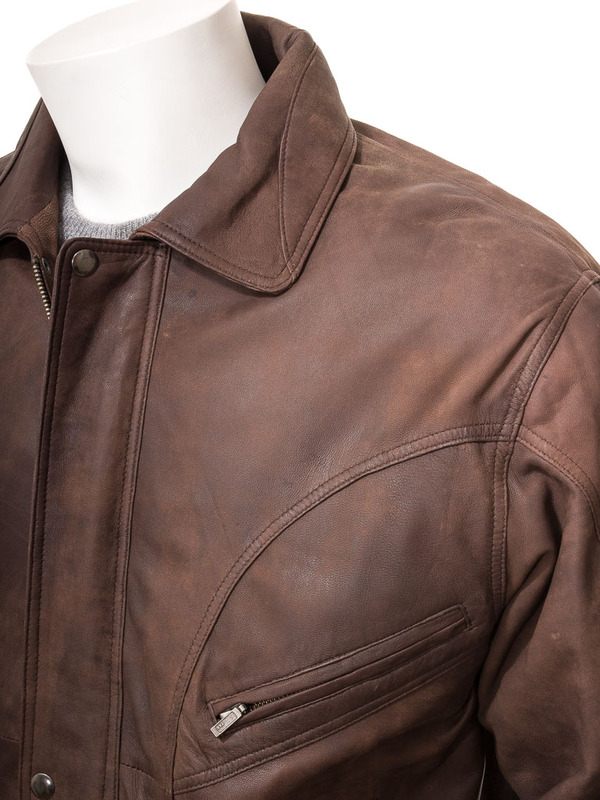 The soft, matte, brown finish of the sheep aniline leather used on this jacket suits its utilitarian design perfectly. 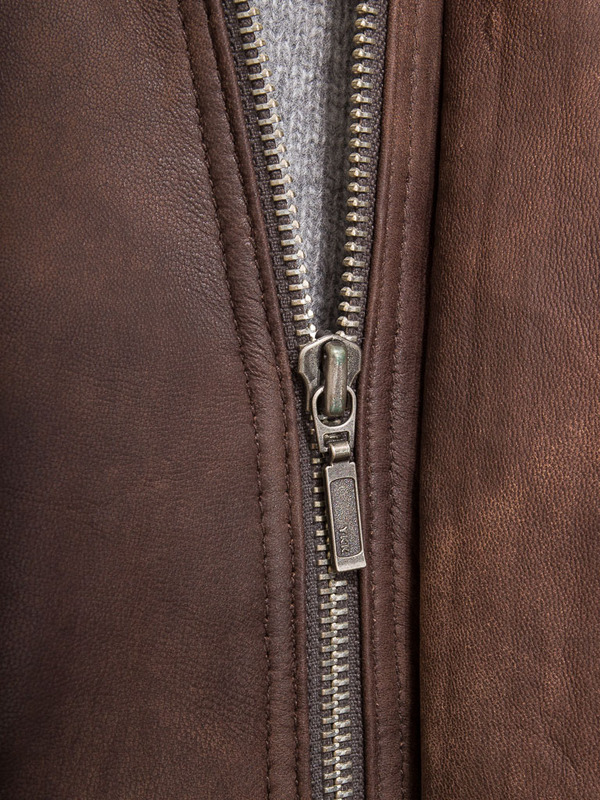 A YKK zip is covered by a press stud fly front. 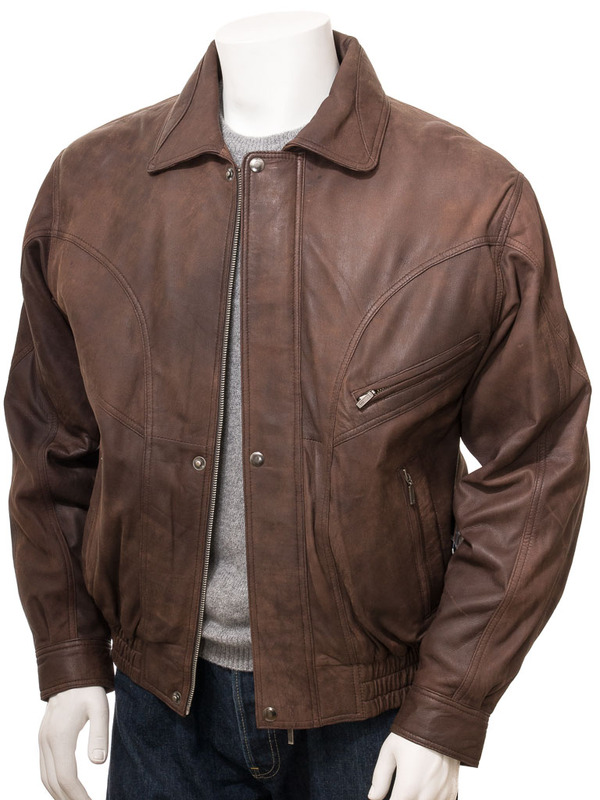 The collar has shirt style lapels and there are five pockets on the body, three of which are zipped plus two side entry concealed at the waist. A gathered, elasticated hem helps to maintain a close fit and shirt gauntlet cuffs allow adjustment at the wrist. 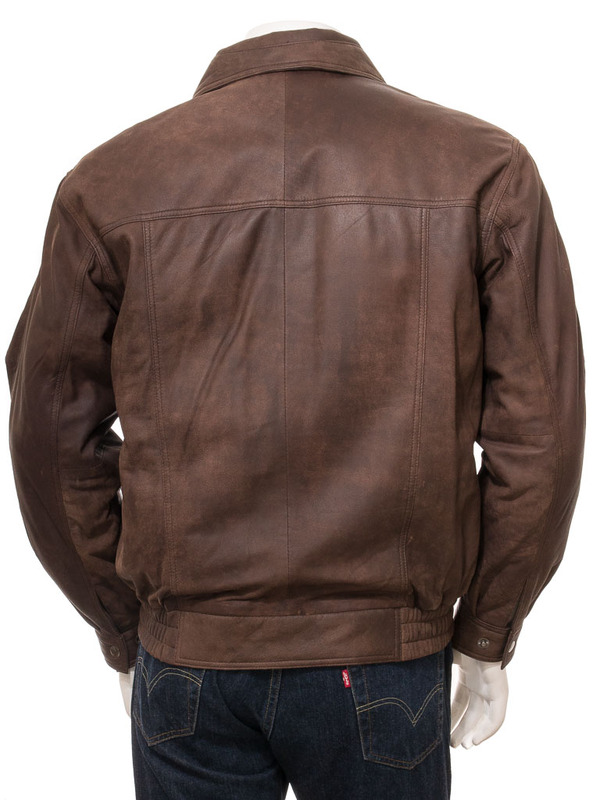 The body shape is generous and, on the inside, is a full satin lining incorporating three more leather trimmed pockets.